Forbes wrote about Working Smarter Not Harder – What Does it Truly mean? 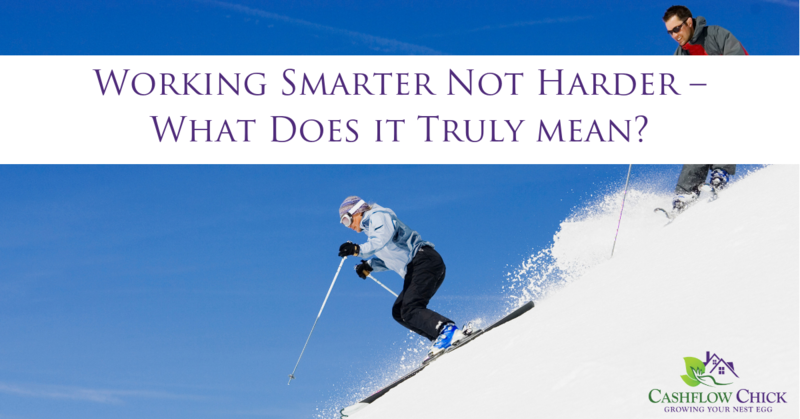 “Work smarter, not harder,” is a phrase many workers have heard throughout their careers. A phrase that often conjures the image of a high-level executive on a beach with a smartphone and cocktail in hand. The phrase touches on an individual’s emotional and intellectual desire to “have it all,” but doesn’t really tell anyone how to go about working smart, not hard. I knew a stockbroker who was told that if he called 200 people every day, for two years, he would live like no one else for the rest of his life. That was working harder. He became a success. However, another young stockbroker by giving seminars found a way to reach many people at one time. Thus working smarter. Too many of us stick to the old ways instead of how to make it easier. One year I was taking skiing lessons. I liked to go fast downhill, and I crashed a lot. I figured that crashing meant I was working harder than everyone else. What I missed was the smarter part. It would have been better to work to learn the basics rather than go faster. My goal was to go fast; I put little effort into learning the basics. There are investors who want to retire on the beach in their chase lounge and a cocktail in their hands. They want a passive income from real estate to support their lifestyle. It all starts with a goal, doesn’t it? There are many ways to achieve passive income. Paige Panzarello helps to educate people on the importance of Passive Income, deal evaluation, money management, how to wisely interact with money. Our goal is to show you how to achieve your goal smartly. It means to have a goal, be smart about achieving the goal, and then put your passion into the work to be a success. I suspect many start with the work and through trial and error get smarter. Thank you, I’ve just been looking for information about this topic for a while and yours is the greatest I have found out so far. However, what concerning the bottom line? Are you positive concerning the supply? Work hard on smart things.